Here in Texas we're big on sports. Our fans are crazy, our kids start playing at a young age, and our dad's are very serious when it comes to their kids and athletics. 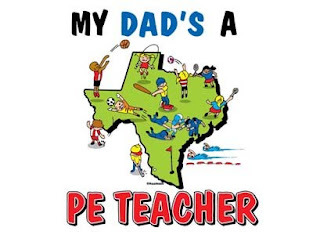 So, if your dad is a coach or a PE teacher, it explains a lot. It's not your fault, we know, just give us a little warning please.